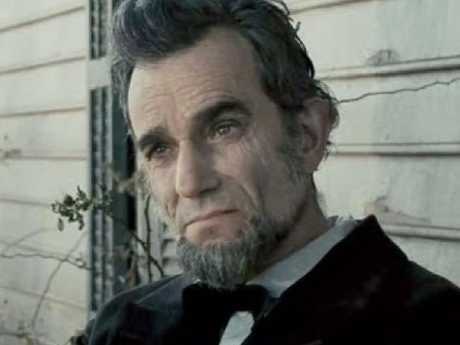 THREE-TIME Oscar winner Daniel Day-Lewis, widely considered one of the pre-eminent actors of his generation, is retiring from acting, according to Variety. The 60-year-old star, who has played presidents, writers, and gang leaders in a career that has spanned four decades, has one final film awaiting release, Phantom Thread, a drama set in the world of high fashion. It is scheduled to hit theatres on December 25, 2017 and reunites him with Paul Thomas Anderson, who directed Day-Lewis to a best actor Oscar in 2007's There Will Be Blood. What's your favourite Daniel Day-Lewis movie? Day-Lewis intends to help promote the movie, according to a person familiar with his plans. He did not give a reason for his retirement. In a statement, Day-Lewis' spokeswoman, Leslee Dart, confirmed the news: "Daniel Day-Lewis will no longer be working as an actor. He is immensely grateful to all of his collaborators and audiences over the many years. This is a private decision and neither he nor his representatives will make any further comment on this subject. " Day-Lewis is the only performer to ever win three best actor Oscars, for the title role in Steven Spielberg's Lincoln, his turn as a rapacious oil man in There Will Be Blood, and his performance as writer and artist Christy Brown in My Left Foot. He earned two other Academy Award nominations for Gangs of New York and In the Name of the Father. Day-Lewis has been praised for his shapeshifting acting and versatility. He is known for going to extreme lengths for his performances, frequently remaining in character off-screen. He has also starred in musicals (Nine), adventure epics (The Last of the Mohicans) and period dramas (The Age of Innocence). The method master once learned Czech to play a philandering doctor in The Unbearable Lightness of Being, listened to Eminem records to channel rage in Gangs of New York and confined himself to a wheelchair for My Left Foot to play Brown, who had cerebral palsy. Day-Lewis, who is the son of poet Cecil Day-Lewis and English actress Jill Balcon, made his screen debut at the age of 14 in a bit part in 1971's Sunday, Bloody Sunday. He first gained attention on the stage and on television before dazzling critics in 1985 with the one-two punch of My Beautiful Laundrette and A Room With a View, convincingly playing a street tough and an upper class Edwardian. In the late '90s and early aughts he appeared to give up acting for a while, reportedly working as a cobbler before Martin Scorsese convinced him to return to the screen for Gangs of New York. Day-Lewis has three children and is married to writer and director Rebecca Miller.